In my opinion, spending time cooking and baking with friends and family is one of the best ways to bond and create lasting memories. I often smile as I reflect on the good times of the past where I’ve prepared a meal in a group setting; it’s amazing the kind of random conversations that pop up. You learn a lot about people! 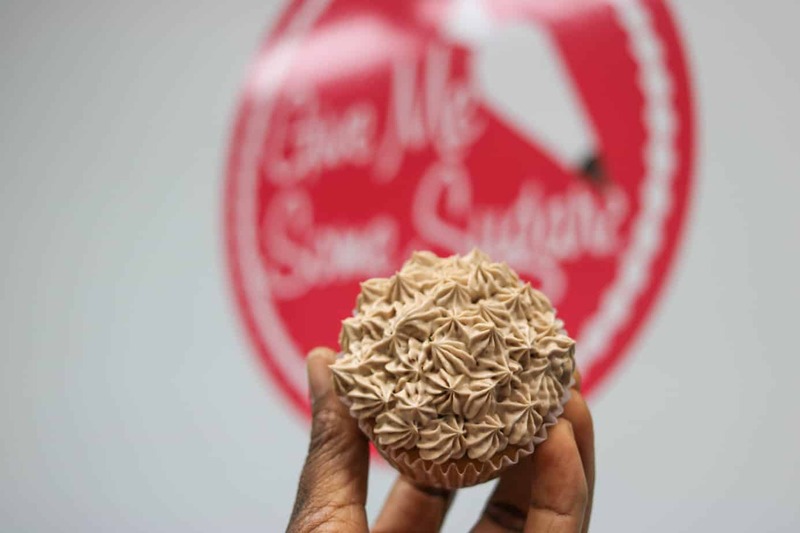 A baking class at Give Me Some Sugar located in Chicago’s Roscoe Village neighborhood would be a great place to bond with friends or your kids while learning to up your game in the kitchen. I had a ball during a recent evening of Cupcakes & Cocktails hosted by April Lee AKA The Tipsy Housewife! She even prepared some of her incredible appetizers for us to enjoy! The classes are for people of all experience and levels, so don’t worry if your baking skills need work, you’ll be warmly welcomed! Lessons include cake decorating, French Macaron, donut making, cookie decorating and cupcakes. There’s even a Retro Dessert class, what the heck…lol, as long as it doesn’t include any Jello-O molds, I’d check it out! Parents, they offer summer baking camps during July and August! Give Me Some Sugar is the perfect spot for hosting parties, girl’s nights, or other fun occasions. Did I mention all of their classes are BYOB?!! That just raised the fun meter about ten levels! Lol, I know I’m corny. Chef-owner Jerry Korab has an extensive resume in baking and pastry. Also, he’s just a nice guy! I appreciated his enthusiasm for us being there and also his patience in teaching. Let’s face it; we were a group of women enjoying wine while trying to learn to pipe rosettes, stars, and flowers. A lot was going on! I think that I did pretty good with my creations. These babies weren’t just pretty though….they were AMAZINGLY delicious! The flavors were lemon blueberry with raspberry buttercream frosting and Michigan cherry with chocolate ganache frosting. I devoured a couple at home and took a few to the office the next day to share. It was unanimous….Chef Korab has mad skills, and the cupcakes were delicious! So the next time you’re looking for a fun experience in Chicago, head over to Give Me Some Sugar in the historical Roscoe Village neighborhood. There’s free street parking y’all!